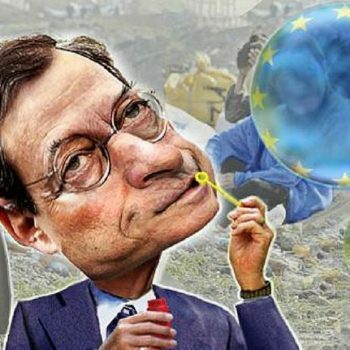 This article is an extract from the Awara Accounting study about how the dollar and euro monopolies have destroyed the real market economy in the Western countries, and therefore in the whole world. The whole study can be accessed HERE. The dismal economic development of Japan after 1990 serves like a case study to illustrate the theses of the present study. 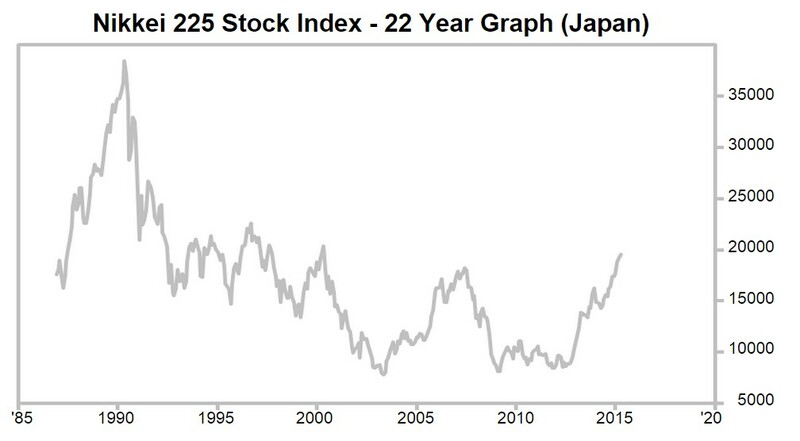 Following a collapse of the Japanese asset price bubble in 1990, Japan entered a severe crisis. 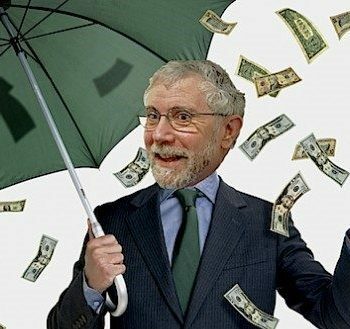 This was followed by a prolonged recession – actually one that has continued ever after to this day – which subsequent Japanese governments have attempted to cure by excessive and wasteful government spending and easy-credit. 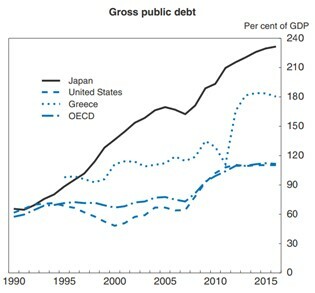 The public spending spiraled annually to around 43% of GDP and government deficits soared to as much as 8% of GDP, and public debt started to rise, so as to reach the present more than 240% of GDP. 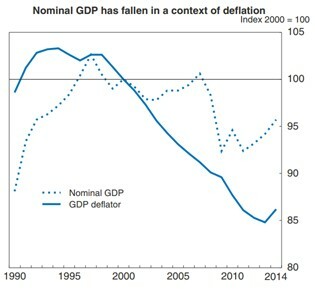 Notwithstanding a decade of this wasteful spending, Japan did not manage any economic recovery and continued to be plagued by persistent deflation. Then when nothing seemed to help and Japan had run out of policy options, the government introduced in 2001 the first modern-day “quantitative easing” program with the aim of kick starting growth and provoking inflation. However, the QE programs that Japan has run, with increasing ferocity in the last few years, have failed to fix the economy. During the years of adhering to these policies ever since 1990, Japan has regressed on all major macroeconomic indicators, but we can also point to one major success: Japan has been able to stave off the ultimate market based restructuring of its economy, which event the country has exchanged against a slow and agonizing slide down the tube. It is this feast that the other Western countries now strive to emulate. But the problem is that Japan has been able to sustain that policy for so long because it has the dubious honor of possessing the first-mover advantage in the business of excessive stimulus and money printing, having started a couple of decades before the other Western countries jumped on the QE bandwagon. Moreover, Japan has been benefitting from an otherwise very rapidly growing world economy which has enabled it to keep afloat despite its accumulating problems. Now with the dramatically altered external conjunctures, it will be much harder for Japan to maintain even these already dismal macroeconomic figures. Indeed, I would expect a sharp turn for the worse in the near future. Correspondingly, the USA, EU and other Western countries may hardly count on the possibility to drag on their own economic death throes for as long as Japan has been able to do it. 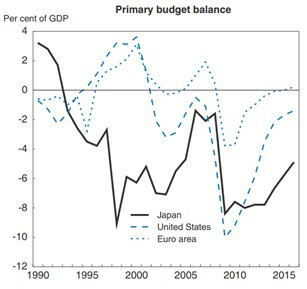 It is worth mentioning that Japan has also possessed one significant real advantage, its huge overseas income, which has provided for a hefty current account surplus even when the balance of trade surplus diminished and ultimately turned to a deficit. Japan’s trade balance has been persistently negative since 2013 and it has remained there to this date. The deficit has indeed narrowed after the substantial devaluation of the yen by 35% since late 2012, but the hopes of soaring exports have not materialized. In July, Japan’s exports rose year-on-year by a mere 7.6% while imports fell by only 3.2%. The trade deficit actually widened in July, and is predicted to rise further as the weaker yen pushes up import costs. The biggest boost to the narrowing of the deficit came from the effect of dramatically lower prices on oil and other energy imports, albeit the effect being reduced compared with other countries due to the significantly devalued yen. 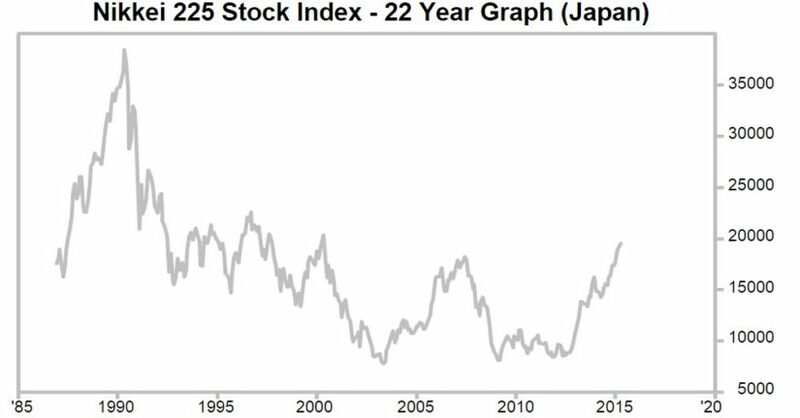 In hoping for a positive trade effect from devaluation the analysts have missed the point that Japan is poor in natural resources and is therefore very much dependent on imports. What Japan produces for export is value-added, and the value-added margin is reduced as costs on imports have risen. Another significant factor, which has been much overlooked is that Japan’s corporations have increasingly moved its manufacturing base abroad. For example, J.P. Morgan estimated that as much as 76% of Japanese car firms production would be based abroad by 2014, vastly up from 49% in 2003 http://www.economist.com/node/21542794. Against this dismal performance in regards to the trade balance, the current account surplus has been depending on Japan’s foreign-investment income (interest payments, profits and dividends). But the question is how long Japan can rely on the life line provided by the current account surplus. All through the mid-eighties up to 2012, Japan maintained a current account surplus to an amount equal to between 2 to 4 percent of GDP. But by 2014 the surplus had fallen to a mere 0.7%. The most recent data from 2015 is, however, very encouraging as strong returns from overseas investment delivered a record primary income surplus of 10.5 trillion yen in January -June this year, offsetting by a wide margin the trade deficit of 422 billion yen. To a big extent this increase reflects the devaluation effects as the overseas income in foreign currency was converted to a much devalued yen as well as falling prices on energy imports. The devaluation also greatly boosted the numbers of foreign visitors to Japan, which had a significant effect on the current account. Inbound tourism, mostly from China and other Asian countries, was up by some 50% while outbound tourism was down by nearly 10%. With economic downturn in most of the world, and lower growth rates at Japan’s biggest trading partner China, there are real concerns as to the sustainability of the surplus. 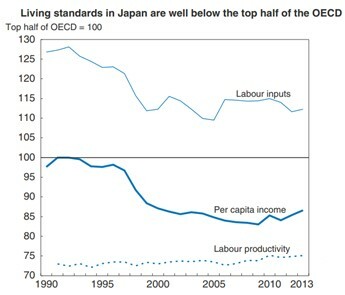 Below, we present a set of data charts from the OECD illustrate Japan’s economic predicament. Exhibit 5A shows how the standard of living has fallen since 1990 to well below the average of developed countries. In the same period the debt-to-GDP has shot up to 240% (Exhibit 5B). Ever since 1992, the government has every year run enormous budget deficits. (Exhibit 5C). After more than a couple of decades of failure the Japanese government under Prime Minister Shinzo Abe decided to double down on its debt and money printing strategy by announcing in early 2013 a renewed aggressive stimulus spending program. This included a massive QE worth 1.4 trillion USD allocated to monthly installments for buying government bonds at an equivalent of 70 billion USD. The US QE program of $85 billion per month pales in comparison when one considers that the US economy is three times the size of Japan. Predictably, this renewed desperate stimulus effort has yielded no growth and has not speeded up inflation as it was wished. Analysts predict that the nominal GDP growth would be no more than 0.9% in 2015 with inflation for the year reaching maximum 0.7%. What this stimulus has achieved is the same result as in the other Western bubble economies, a sharp rise in stock prices. (Exhibit 6).